"Don't Let the Best Be the Enemy of the Good"
See You in Saint Paul in October! A Washington, D.C., chapter of Juventutem? Do We Trust the Church's Judgment—Or Our Own? Happy 300th to the Oratorians of Verona! Why Do We Care About Beautiful Things? Dom Mark Daniel Kirby, prior of Silverstream Priory, recently gave NLM some Q & A that might might be of interest to our readers here. I'd encourage you to read below about their community. Father Prior, could you briefly describe for us the origins of your community? The seed of the Monastery of Our Lady of the Cenacle, now known as Silverstream Priory, was planted in my heart during the Year of the Eucharist (2004-2005). Profoundly moved by Bl. John Paul II's apostolic letter Mane nobiscum Domine, I resolved to live the mystery of the Most Holy Eucharist with a special intensity and to preach that mystery (insofar as possible) every day during that year. The death of Bl. John Paul II and the election of Pope Benedict XVI coincided with a trial affecting my health. That trial turned out to be (in effect) a grace, because it obliged me to enter more deeply into the designs of God upon my life, as a monk and a priest. Providentially, I was able to spend the Feast of Corpus Christi 2005 in prayer before the Blessed Sacrament. I understood then that Our Lord was calling me to a "vocation within a vocation": not only to the pursuit of the traditional Benedictine life, to which I had made profession as a monk of the Order of Cîteaux many years before, but also to adoration of the Most Blessed Sacrament, in a spirit of reparation and intercession for the sanctification of priests. A series of opportunities (orchestrated, I think, by the Holy Ghost) led me to begin very humbly living this "vocation within a vocation", in the company of a few good men, under the protection of His Excellency, the Most Reverend Edward J. Slattery of Tulsa. An indult from the Holy See dispensed me from my obligations to the abbey of my profession, and freed me to renew my vows, under the Rule of St Benedict, into the hands of Bishop Slattery in view of a new monastery dedicated to adoration of the Most Blessed Sacrament. How did it come about that your community moved from Tulsa to Ireland? 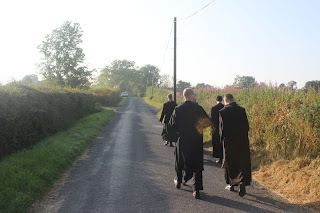 Another series of providential circumstances led our embryonic community from Tulsa to County Meath in Ireland, where we found a property and buildings suitable to our particular expression of Benedictine life. Although we had looked long and hard for suitable property within the Diocese of Tulsa, we found nothing corresponding to our needs and to our limited means. It was while speaking at an international conference on Eucharistic Adoration (Adoratio 2011) in Rome, that I encountered several Irish priests, seminarians, and layfolk who suggested that what could not be found in Tulsa might be readily available in Ireland. This invitation to consider Ireland touched me deeply, because for several years I had felt a growing desire to respond to the needs of the Church in Ireland with a humble love, principally by prayer, never thinking that I would be led to implant a new monastery there. How did you find the property of Silverstream in County Meath? In our search for a suitable property, we made a novena to St Thérèse of the Child Jesus and of the Holy Face, and also prayed confidently to Blessed Columba Marmion. To my astonishment, upon arriving at Silverstream, I discovered in the sacristy hanging above the vesting cabinet, a framed document in Latin attesting to the dedication of the little church and its altar to St Thérèse! 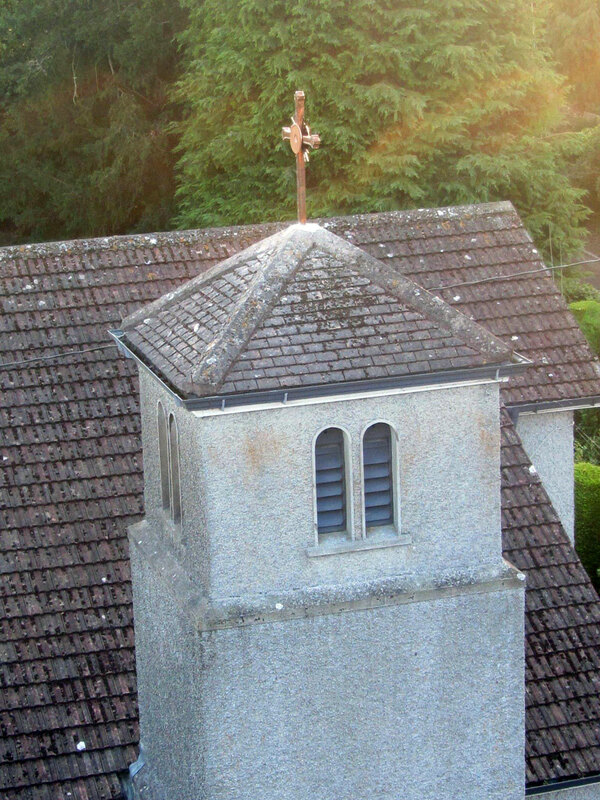 The dedication of the little priory church to St Thérèse took place during the tenancy of the Brothers of St John of God, previous owners of Silverstream. On October 19, 2011, I met with His Lordship, the Most Reverend Michael Smith, Bishop of Meath, and laid our monastic project before him. His Lordship graciously and magnanimously welcomed us to the Diocese of Meath. And so, upon His Lordship of Meath's invitation, and with the fatherly blessing of Bishop Slattery, Dom Benedict Andersen and I set out for the Isle of Saints and Scholars. Tell us a bit more about your "vocation within a vocation" as you described it? Essentially, our goal is to implant traditional Benedictine life at Silverstream. This means a close adhesion to the letter and spirit of the Rule, and a commitment to the traditional forms of the sacred Liturgy, celebrated worthily, in Latin and Gregorian chant. Like all Benedictine monks, we open the sacred Scriptures daily, in lectio divina, to discover there, shining through every page, as if through the "lattice-work" of the text (Cant. 2:10), the adorable Face of Christ. Our "vocation within a vocation" flows from the discovery of the Face of Christ that illumines the sacred Scriptures. Just as the disciples, on the road to Emmaus, passed from the opening of the Scriptures to the recognition of the Risen Christ in the Breaking of the Bread, so too do we pass continuously from the hearing and chanting of the Word, notably in the choral celebration of the Divine Office, to the contemplation and adoration of the Face of Christ in the Most Holy Sacrament of the Altar. This particular focus on the radiant Countenance of Jesus, both revealed and concealed in the Eucharist, is rooted in the expression coined Blessed John Paul II in the encyclical Ecclesia de Eucharistia, wherein he enjoined the faithful to tarry before the "Eucharistic Face of Christ." At Silverstream Priory, we do this in relationship to the Liturgy, source and summit of the adoration that flows out of the Mass and returns to it. 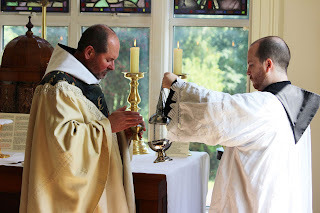 And we do it specifically for the sake of those men whom our Lord called "not servants, but friends" (John 15:15), his priests, and in particular for those priests who, for one reason or another, are unable or unwilling to linger in the company of Our Lord in the Sacrament of his Divine Friendship. People don't usually associate Benedictines with the cultus of the Most Holy Eucharist outside of Mass. What are the sources or precedents for this way of life? The fountain-head of all monastic life is, of course, the Gospels and all of sacred Scripture. And I think we would have a predilection for the Fourth Gospel, which according to tradition, John drew out of the Heart of Jesus at the Last Supper in the Cenacle. After Scripture, we would, like all Benedictines, refer to the Fathers of the Desert, and to the ancient monastic traditions of East and West. One cannot lay claim to a Benedictine identity without loving the Fathers of the Church, and drinking deeply of the living water they transmit to every generation. At Silverstream Priory, we also take to heart the teaching of a seventeenth-century Benedictine reformer and mystic, Catherine Mectilde de Bar (1614-1698). Mother Mectilde is, to the Benedictine Order, what St Teresa of Avila, la Madre, is to the Order of Carmel. Mother Mectilde deserves to be better known. She has, I think, all the makings of a Doctor of the Church! Closely associated with the Benedictine monks of the Congregation of St Maur (Maurists), she gave expression to a charism of Eucharistic Adoration and Reparation that revitalized Benedictine life in the seventeenth century, and that continues to do so. Abbot Celestino Maria Colombo OSB (1874-1935) believed passionately in the Mectildian charism, and hoped to see it flourish among monks of the Order. At Silverstream Priory we are, in some way, carrying out Abbot Colombo's dream. Could you describe for us your horarium and liturgical life, and how Eucharistic Adoration fits into it? Our horarium does not differ essentially from the horarium of any other traditional Benedictine monastery. We pray the entire Psalter, 150 Psalms, in a single week, thereby respecting the injunction of St Benedict in the Holy Rule. We rise at 4:35 am to be in choir for Matins at 5 am. Following Matins, there is ample time for lectio divina. At 8 am, we return to choir for Lauds. After Prime there is the daily chapter. We listen to the portion of the Holy Rule appointed for the day, and I give a brief commentary on it. The daily chapter is of capital importance. It is the transmission of the living tradition by which the brethren, and men aspiring to the monastic life, are encouraged and stimulated to become, according to an expression one of the Desert Fathers, "all fire". A monastery in which the flame of fervent love burns low quickly becomes a dark and cold place. I see the Abbot, or conventual Prior, of a monastery as being, before all else, the keeper and guardian of the flame, charged with transmitting the living fire from one generation to the next. Thus do monks become, in the Church, "friends of the Bridegroom", like St John the Baptist whom Our Lord described as ardens ac lucens, a man burning and giving light (John 5:35). After chapter, there is a period of work. We perform a great variety of tasks here: hospitality, spiritual direction for priests, running a bookstore, desktop publishing, gardening, maintenance, and renovations of the buildings we currently occupy. Then, at 9:45 am, we sing Terce, the Hour traditionally associated with the descent of the Holy Ghost, and objectively the most perfect immediate preparation for Holy Mass. Even though we are few in number, we sing the Mass, using the Graduale Romanum, nearly every day. Sung Mass, in the Usus Antiquior, is for many Irish Catholics something of a discovery. Young people, particularly, have expressed joy and gratitude at the first experience of what was for them a treasure hidden in the field, a pearl of great price. Shortly after midday, we have the Office of Sext and go to the refectory for dinner. Following St Benedict's injunction, we have reading at both dinner and supper, principally biographies which provide intellectual stimulation, spiritual nourishment, and sometimes comic relief. After a siesta in the afternoon, we have the Office of None, then another work period, and Vespers at 5 pm. Supper is a light collation, and Compline follows. With one last filial homage to the Mother of God, we enter the great silence until the following day after Prime. As Benedictines of Perpetual Adoration, do you have any distinctive practices? We keep every Thursday as a kind of weekly Corpus Christi, giving greater solemnity to the Mass and having solemn exposition of the Blessed Sacrament, and Adoration all day. On other days, given our small number, a few hours in the afternoon, between None and Vespers, are dedicated to Adoration. The length of time given to Adoration will increase as the community grows until all the hours of the day and night are covered. I often say to Our Lord, "Multiply us, give Thyself adorers, and provide for us!" Every day after Mass, one of us, kneeling at a column in the middle of the choir, recites an Act of Reparation by which we seek to make up for the coldness, indifference, irreverence, and sacrileges that grieve the Heart of Our Lord in the Sacrament of Love. You mentioned that a major part of your charism is hospitality and the spiritual care of priests. Can you tell us more about that? 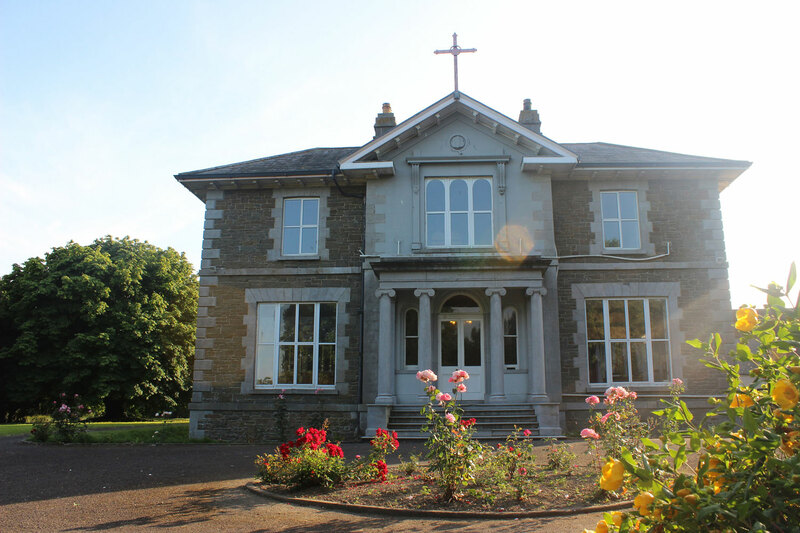 When we came to the Diocese of Meath, Bishop Smith shared with us his own long-standing desire for a place where his priests could find spiritual refreshment and give themselves over to prayer. Our arrival in his Diocese, by God's Providence, fulfilled that desire of his. Priests labouring in the vineyard have always been drawn to the silence of the cloister, as to a safe harbour in which their friendship with Jesus Christ can be experienced more intimately or rekindled. We are happy to offer priests a place of silence, natural beauty, and liturgical prayer, all in the radiance of the Lord's Eucharistic Face. The priests who have spent time with us thus far have told us they have benefited greatly from their experience. How many members are there in your community at present? Currently we are four. There are two professed monks, myself, and Dom Benedict Andersen, who came with me from Tulsa. Dom Benedict, by the way, when he pronounced his vows last September, was the first Benedictine monk to be professed in the Diocese of Meath since the dissolution of the Abbey of Fore by the commissioners of Henry VIII in 1539! Then we have two men in formation, as well as a number of others in the early stages of inquiry with us. Are you currently welcoming vocational inquiries? Yes, indeed. I've learned from experience that the most promising candidates are between 21 and 30 years of age, and (if I may use the expression) untainted by a previous experience of religious life. In a new foundation it is important that men arrive with a certain freshness of vision, without preconceived notions of what the life "ought" to be, and above all with a capacity to be flexible. I encourage men interested in our life to read the great Benedictine classic, Christ the Ideal of the Monk by Ireland’s most famous Benedictine, Blessed Columba Marmion. What are you looking for in candidates? 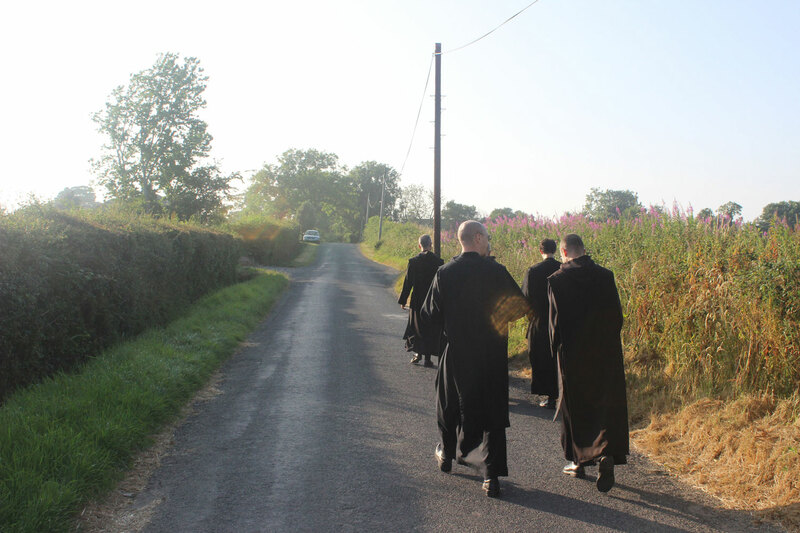 We are looking for men willing to be formed in a truly Benedictine way. That means a number of things. First of all, humility: the frank admission that one comes to the monastery as a learner to submit to a doctrine of life; obedience, a readiness to listen and to be changed by what one hears. Then, our monks must have zeal for the Sacred Liturgy and love of the Word of God, particularly the Psalms, and the desire to adore Our Lord in the Sacrament of His Love, and to make reparation for coldness, irreverence, and indifference towards the Most Holy Eucharist. As mentioned before, they must have reverence for the Fathers of the Church and the great monastic teachers of East and West. Sympathy for the traditions of the Christian East (for what is the Rule but an adaptation of Eastern monasticism for Western monks?). Above all else, a candidate must have a certain passion to seek God, and a firm resolve never to despair of his mercy. Of course, no man will have developed all these qualities when he seeks admission. The monastery is school of the Lord's service, not an academy of experts; it is a hospital for sinners, not a stadium for athletes of asceticism. What are the stages of formation a man would pass through to become a monk? After some initial exchange of correspondence, a man may be invited to visit the monastery. Several short visits are the ideal, but given that men may come from great distances, a single longer visit may be the best practical option. If we see in a man elements of a vocation to Silverstream Priory, I will invite him to spend a month observing our life while we observe him. If the indications are favourable, the candidate may complete an application and request to begin the postulancy. The postulancy may be as short as three months and as long as nine. 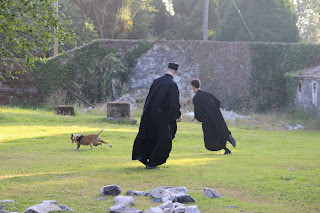 Men arrive at monastic life from different backgrounds; some would not even be familiar with the Catechism, while others may have an adequate understanding of the Faith through personal reading, or through a course of theological studies. At the end of the postulancy, a man may petition to receive the novice's habit, and enter into the year and a half of the novitiate. At this point, I help a man discern whether he is called to be a choir monk, or a converse monk (conversus monachus, sometimes called a "lay brother"). 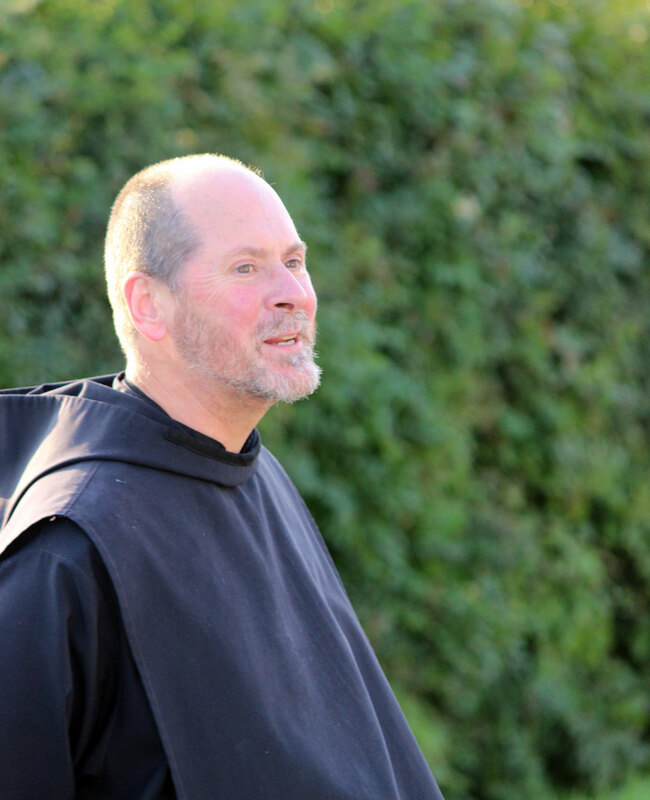 The converse monk seeks God in a life marked by manual labour, adoration of the Blessed Sacrament, and a limited participation in the choral Office. Monastic formation in the novitiate begins, of course, with the Gospels and the Psalms. The young brother will also become familiar with the Rule of St Benedict and our monastic forefathers in East and West; he will acquire a working knowledge of Holy Mass and the Divine Office; and he will read the works of Blessed Columba Marmion. At the end of this time, he may request to be admitted to temporary profession for three years. At the end of his triennial vows, the junior monk may ask to make perpetual profession and receive the monastic consecration. The Prior can call a perpetually professed choir monk to studies in preparation for Holy Orders. The monastic priesthood, as we live it at Silverstream, does not involve pastoral ministry. 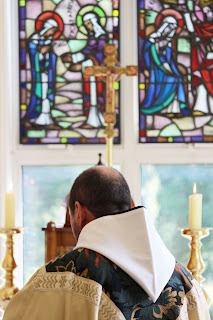 It is, rather, a sacramental configuration to Christ, Priest and Victim, in his oblation to the Father; and this, in the context of a hidden life, marked by silence and in effective separation from the world. You mentioned Oblates earlier. Could you tell us something about your community of Oblates? Oblates are layfolk, men and women, or diocesan clergy, who offer themselves to God in the spirit of the Rule of St Benedict. We consider our Oblates members of the extended monastic family. We have, at the present, about two dozen Oblates living in North America and Europe, including a priest and a permanent deacon. Geographical proximity to the monastery is not a requirement of the Oblateship. Are you engaged in any specific work at the moment, or do you have any specific work in view for the future? Responsible stewardship of the land is a primary monastic work. We are blessed with meadows, forest, and a stream. There are plans for a small orchard and herb gardens. Dom Benedict has a professional background in book design. I have done a fair amount of writing. We are planning to set up a small monastic publishing house. The bookshop and guesthouse already require a significant investment of time and labour. Finally, what can you tell us about the current status of your renovation projects and your current needs? I have to raise funds for the purchase of the Silverstream Property. The purchase will be effected in two phases: first, the core of the property, that is the present buildings on 15 acres, and second, the remaining 160 acres, which are indispensable for the preservation of silence and separation from the world. At the moment we are engaged in the renovation of the guesthouse; there will be 6 en-suite guestrooms, a small oratory (dedicated to the Holy Angels), a library, a conference hall, and a kitchen and dining area. We also have a beautiful hermitage (dedicated to the Holy Souls) which we would like to "do up" (as the Irish say) for those who would desire a more secluded retreat. It is urgent that we begin and complete the renovation of the existing priory church; it was built in 1952. We have had to gut the interior; it needs a new roof, heating, insulation and, of course, furnishings. 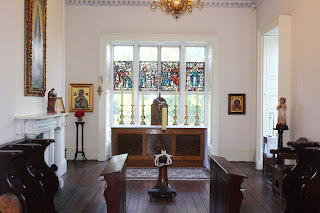 Please God, eventually, we will be able to adorn the church with iconography suitable for the House of God; we have a beautiful plan which has been drawn up by the English iconographer Aidan Hart, who is proficient not only in the Byzantine style but also in early Christian and Romanesque styles. Finally, we foresee twelve monastic cells in the main building. The kitchen is in desperate condition. It needs to be totally renovated and a flooding problem there must be corrected as soon as possible. Father Prior, thank you for taking time out of your busy monastic day to answer these questions. There is one last question. How can people help Silverstream Priory? First of all, pray for us. Second, make our specific vocation known to men who may be drawn to it. Third, contribute something according to your means. You can find information on how to donate on our website, and you can contact us here. 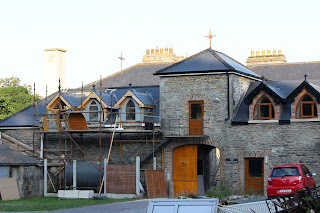 The foundation of Silverstream Priory is an ongoing act of faith in Divine Providence. Divine Providence makes use of human instruments. We pray for our benefactors every day.